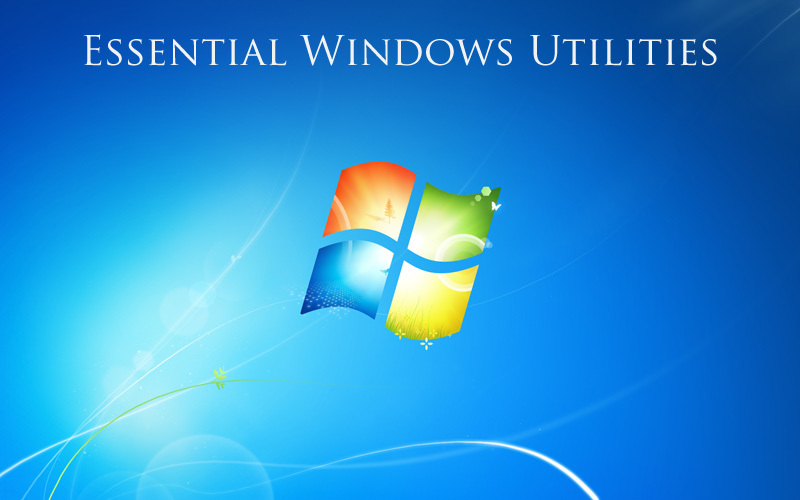 Here are some of the most useful software utilities that you wish were part of standard Windows. These tools are free, light-weight and can be installed on all versions of Windows including the newer Window 8. Eraser – When you delete a file in Windows, the contents of the file can still be recovered using other utilities. Eraser lets you permanently delete a file making recovery nearly impossible. Unlocker – If you are trying to delete a file (or folder) but unable to do so because the “file is in use” by another program, just use Unlocker to end all the locking processes. ShellExView – As you install new programs, the contextual menu gets cluttered and confusing. With ShellExView, you can clean up the right-click menu and remove all the useless entries. Everything – Windows includes powerful desktop search capabilities but Everything goes one step further. It looks for files and folders irrespective of their location (including temporary files and system folders) and you can also use regular expressions in your search queries. Always on Top – This tiny utility lets you easily keep any window on top of all other windows on your desktop. For instance, you can answer your emails, work on an Excel sheet while a YouTube video plays in the foreground. SyncToy – One of the most useful software utilities from Microsoft that lets you keep different folders in sync with each other. You can configure it with Windows Task Manager to run file synchronization jobs automatically at custom intervals. WinDirStat – Running out of space on Windows? WinDirStat helps you reclaim disk space by creating a visual treemap of your entire hard disk where the area of the colored rectangles is proportional to the size of the underlying folders. Double Killer – This is the only tool you need to get rid of all duplicate files on your computer including images and music files. It compares the file hash to identify duplicate files. TCPView – It will list all the software programs (or processes) on your computer that are accessing the Internet including the IP addresses that they are connecting to. Ignore all the columns except Process, Remote Address and State. Droplr – This is the easiest way to upload your desktop files onto the web. Droplr adds a new option to your Windows “Send to” menu and also places a drop zone on the desktop. Any files that you place in the drop zone are instantly upload and the public link is copied to the clipboard automatically. TinyGrab – Press a hotkey to grab a quick screenshot of anything that’s on your desktop screen and TinyGrab will put it online in a snap. The screen captures will stay online forever until you remove them. Mouse Borders – Another useful utility from Microsoft that lets you control multiple computers from the same keyboard and mouse. A better alternative to Synergy. KatMouse - You can scroll not-in-focus windows with the mouse wheel without selecting the window. Originally written for Windows 2000 but works in Windows 8 as well. Mouse Jiggler – You computer screen may enter the “sleep” mode if the mouse or the keyboard is not used for a certain period of time. Mouse Jiggler keeps your computer awake by “faking” mouse input thus letting you watch that entire movie from a distance. AltDrag - It lets you move and resize windows without reaching the borders of a window. Simply hold down the Alt key and then left-click to drag the window or use right-click to resize the window. ClipX – When you copy anything to your Windows Clipboard, all the previous content is overridden. ClipX preserves the clipboard history and lets you access your previously copied items from the system tray. RBTray – Sometimes you want to hide windows instead of minimizing them to the Windows task bar. RBTray lets you minimize any window to the system tray by right clicking its minimize button. MiniBin - This puts the Recycle Bin right into your system tray so you don’t have to minimize all your desktop windows to access the Bin icon. You can also also empty the bin from the system tray. GearMage – Running out of space in your web inbox. Use the Gearmage utility to find and download email attachments that meet your search criteria to the local drive. MailStore – If you want offline access to your emails, use MailStore as it helps you download all your emails on the computer or even a USB drive. MediaInfo - If an audio or video file refuses to play on your computer, chances are that the required codecs are missing on your system. MediaInfo will let you know what codecs are required to play the media file. DropIt – It is like an advanced file sorting utility that will help you automatically copy or move files into relevant folders based on their extensions, date and other criteria. In the case of music files, you may even sort them by artists or album names. Teracopy – It takes forever to copy or move files from one folder to another and if the operation is interrupted, you have to start from scratch. Teracopy improves the file copying speed and offers a detailed report in case of any errors. Soluto – It helps improve the boot-up time of your Windows PC by removing unnecessary programs from the start-up routine and also delaying the launch of certain programs. Sizer – It let you resize program windows to any fixed, predefined size. Quite handy when you are capturing screenshots for documentation and also for screencasting. Background Switcher – It pull pictures from your Facebook, Instagram, RSS Feeds, Picasa, Google Images and uses them as rotating wallpaper backgrounds for your desktop. f.lux – It adjusts the color temperature of your display based on your local time (warm at night and bright during the day). It does this by calculating the sunrise and sunset times of your location. ZoomIt - It turns your desktop into a virtual whiteboard allowing your to draw /annotate anywhere on the screen using colored pens. An essential tool for presenters. LockBox – Put all your confidential files into a folder and then use the LockBox utility to completely hide that folder inside Windows Explorer. Safehouse Explorer – It is easy to misplace USB drives. Safehouse lets you quickly encrypt and password-protect data inside USB drives so others won’t be able to view your files and folders.